You may have heard that there are some bugs that are safe to eat and you may even be aware that cultures around the world include various insects as part of their regular diet. In truth, there are nearly 2,000 edible bugs on the Earth, which means when SHTF, it’s not a bad idea to know how to find and identify the top edible bugs for survival. Although most insects can be safely eaten, there are some precautions you need to follow when preparing them to ensure that you don’t make matters worse by eating a poisonous or contaminated bug. 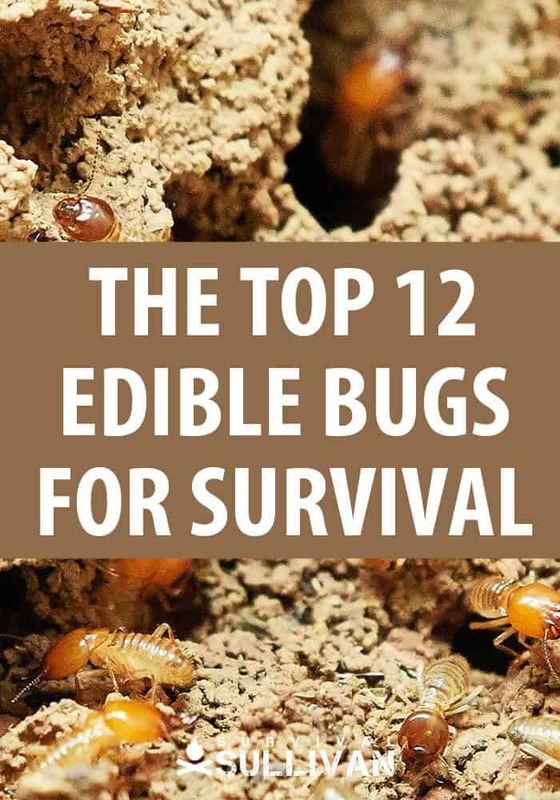 The bugs and insects you can forage for survival will largely depend on your location and the time of year but below are the top edible bugs for survival. All different types of ants are commonly eaten around the world. You may have even had the occasion to eat them covered in chocolate as a treat. But if you find yourself in a situation where your only available food is ants, you’ll need to collect quite a few to make a meal of them. Ants can be eaten raw once dead, although boiling them first will help to reduce the sour taste of the acid they use on potential predators. The species of ant available will vary according to your location but below are some examples of ants eaten around the world. One commonly found bug you may not have thought was edible is the woodlouse, also sometimes referred to as a pill bug, potato bug, sow bug, or rolly polly bug. Woodlice are in fact crustaceans but are often thought of as an insect. Boil them and you’ll find they have a flavor similar to shrimp. These may not be on the top of your list of edible bugs for survival, unless you’re related to Timon and Pumba, but grubs are relatively easy to find in a wilderness situation and they are edible. Grubs can also easily be found under rotting leaves in an urban situation. Although they can be eaten raw, grubs are best eaten when roasted till crunchy. Probably one of the most commonly eaten insect in most parts of the world are grasshoppers and crickets. Most people who consume these prefer to pull the antennae and legs off and remove the head. If you twist the head when removing it, the guts should also pull out. When it comes to a crisis situation, crickets and grasshoppers, katydids, and crickets are easily identifiable, commonly found in many areas, and high in protein which can enhance your ability to survive. Cook thoroughly before eating. Although harder to find, locusts can also be eaten in the same way. These pests may be one of the worst smelling bugs around but believe it or not, those who partake say they have an almost fruity flavor that resembles an apple. Most experts recommend that you avoid eating any insect or bug that smells foul. But in truth, if you can ignore the smell, you can eat stinkbugs raw. The best way to eat them is to soak them first to remove the stink causing chemical, and then cook as desired. Be cautious, some stinkbugs may live through cooking. If you can catch them, termites are one of the top edible bugs for survival because they are packed with healthy fats and protein. Look for termites in decaying wood whether in the forest or woodpiles or catch them when they get their wings during mating season. Use raw as a quick protein boost or add to a meal to add beneficial nutrients. 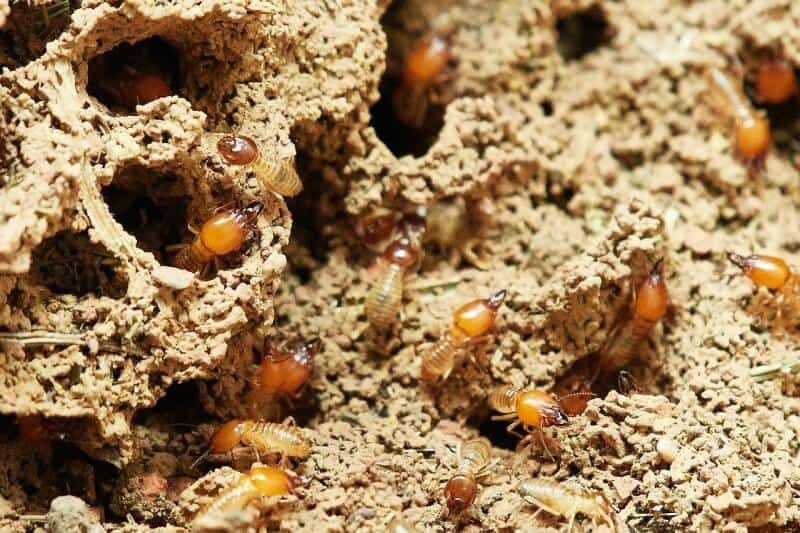 Termites are used frequently in Southeast Asia and on the continent of Africa. Depending on the species you collect, the flavor can range from minty to nutty. There are several different edible varieties including earthworms, tree worms (pork rind flavor), and red agave worms (spicy). If you’ve ever hunted worms for a fishing trip, you know they can be found in moist soil, especially right after a rain. Worms should be “stripped” of their stomach contents before eating to reduce the chance of eating chemicals, parasites, and other contaminants from the dirt diet of the worm. You can do this by squeezing the worm from one end to the other or by boiling several times. Worms can be roasted, dried, or even ground into a powder for consumption. These are personally a very last resort option for me but when it comes to edible bugs for survival, these little homewreckers make the list. In an extended SHTF situation, they could be plentiful and one of your most available resources in urban cities. Clean well, remove head, antennae, and legs, boil, and then cook. Part of the Vespidae Order, these are in fact edible once you remove their stingers. Roast or fry them if you prefer. The larvae from bees and wasps are also edible and in fact are regularly eaten in the countries of Asia, the West Indies, South America, and South America. If you are lucky enough to find a hive and access it, collect the larvae and fry them in a pan. These lovely flyers are on the list of top edible bugs for survival as are the damselflies. They are most commonly found near freshwater during the warm weather. Your biggest challenge will be catching one of these colorful flyers but you can lure them close and trap them using a stick coated with tree sap. You may also have some luck using a seine or a t-shirt tied between two sticks to catch the adult flying members of the Odonata Order. Take off the wings and cook. During the Spring season, use a t-shirt or other piece of cloth to make a net to scoop dragonfly larvae from the water. Once collected, clean larvae and roast or fry. If you’re going to include caterpillars, moths, or butterflies, the Lepidoptera Order, on your list of top edible bugs for survival, it’s important to be cautious. You need to know how to identify poisonous or toxic ones. As a general rule, you should avoid brightly colored ones and remove any stingers to reduce the possibility of ingesting any poisonous substance they may harbor. To kill off any dangerous bacteria, cook when possible. If you aren’t knowledgeable about edibles in this bug category, it’s best to look for other insects. Part of the Coleoptera Order, these comprise about 31% of the edible bugs for survival and are the largest category of insects eaten around the world. One of the most common edible bugs for survival is the mealworm which is actually the larvae form of a darkling beetle. Mealworms are very nutritious and taste a bit like roasted nuts. The Rhinoceros beetles are extremely nutritious and according to Severin Tchibozo, an entomologist, their larvae may have up to 40% protein, that’s higher than chicken or beef. Agave and cactus weevils are eaten throughout Mexico, Venezuela, and Ecuador. If you find yourself stranded in Southeast or East Asia, diving beetles may be more common. Jewel beetles (Buprestidae family) are considered pests because their larvae feed on wood and living trees. If you find yourself stranded in China, Africa, or Southeast Asia, feel free to dine on either the adult or larvae form of jewel beetle. In North America, look for the June Beetle (Phyllophaga) long harvested and eaten by Native Americans. Be sure you are collecting beetles in areas where pesticides have not been used to eliminate risk of contamination. Avoid eating snails and slugs or any insects that commonly feed on mushrooms. Refrain from eating any parasitic bugs such as ticks and mosquitoes which are known to be disease carriers. Those with shellfish allergies may want to avoid eating insects due to the possibility of allergic reaction. It’s best to leave any insects with fuzz alone. Pass on eating any slow moving insect you find out in the open as poisonous insects have no need to fear predators. Remove legs, heads, wings, stingers, and any other parts that could causing choking or carry bacteria. When it comes to finding the top edible bugs for survival, a little knowledge can ensure that you don’t make matters worse for yourself and your family. For those who are a bit on the squeamish side when it comes to eating bugs, keep in mind that roasted or fried bugs can often be ground into a powder or paste and used to supplement other food. You can use a digging stick, DIY seine, or even your hands to collect bugs, and they are found in a wide variety of places which makes it something you can do no matter what type of situation you may find yourself in. Cleanse earthworms by dropping them into water. This causes them to immediately expel stomach/intestinal contents. A quick way to prepare them is to strip off the mucus (slime) and then twirl them quickly to expel stomach contents. I also eat grasshoppers and katydids (my favorite), they taste like grass. You are what you eat I guess. I am a “worm-eater” from way back. I tell people that eating bugs is an acquired taste and they will acquire it after about three days with nothing to eat. I think I will incorporate some chickens for that task, while I complete other vital projects. Then I will eat the chicken….